A mortice deadlock made from mild steel which has been CE and Certifire rated for use with FD30 & FD60 fire doors. The deadlock is locked and unlocked by a euro profile cylinder. Available in 2 finishes; electro brass which has a golden hue nickel plating which is silvery with a yellow hue and 2 sizes 63mm or 75mm. 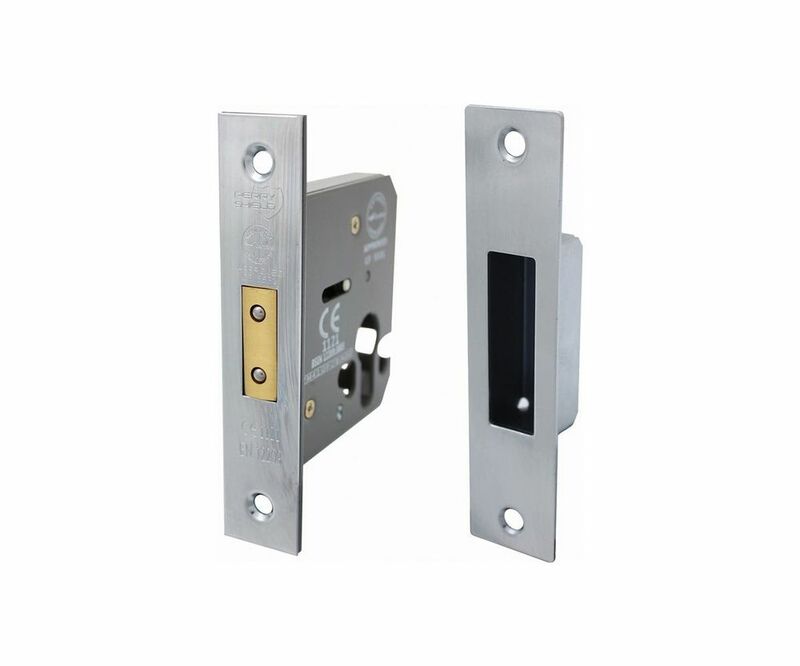 The deadlock is fitted into a mortice or pocket in the door providing a strong lock system that intruders will find hard to tamper with and will also stay in the locked position even under extreme temperatures. With certification you can be assured in the performance of our products in the event of fire. Please note: Lock and strike plate included.